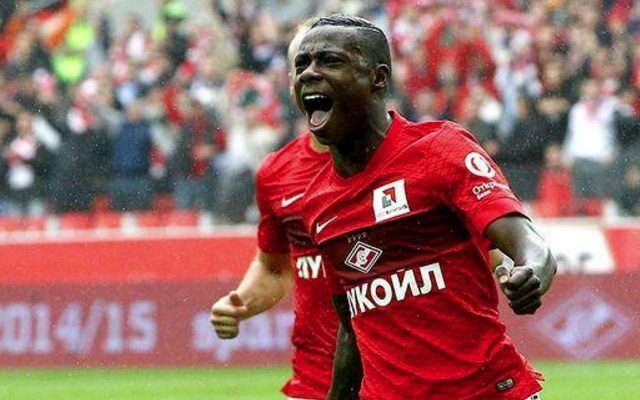 Liverpool are being linked again with Spartak Moscow flyer Quincy Promes, who was a target during the January transfer window. As a result, we’re certain to make big improvements this summer, and if we went in for Dutchman Promes, he’d likely jump at the chance. This term, Promes has ten goals from 20 Russian League appearances, not bad for a player who starts wide on either flank. The 25-year-old is quick, skilful and provides end product, so stylistically, he’s closer to Sadio Mane than anything currently at our disposal. A winger of this ilk is a summer necessity, but any real links to Promes have died down since the January window closed, with Spartak owner Leonid Fedun telling Sport-Express his best player will only be sold for €40-50m.